Here's a story that should make you smile. 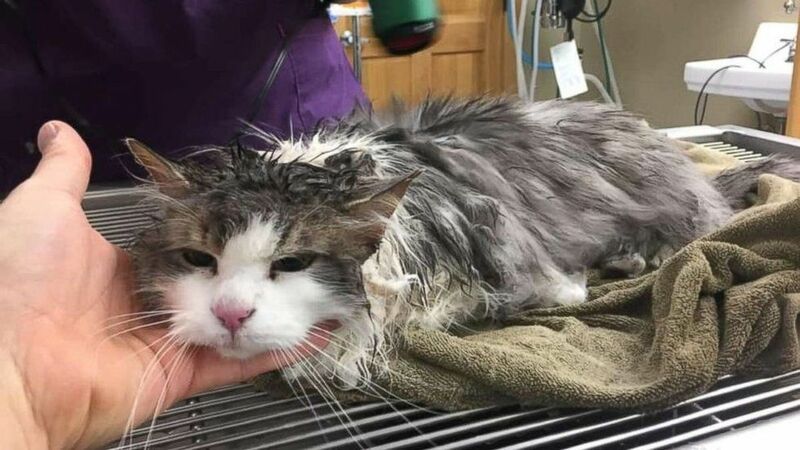 Fluffy the cat was discovered in a snow bank on January 31. Fluffy was frozen in the ice. The low in nearby Whitefish, Montana, "was a bone-chilling 8 degrees," according to one report. The area had received 16 inches of snow during the month. 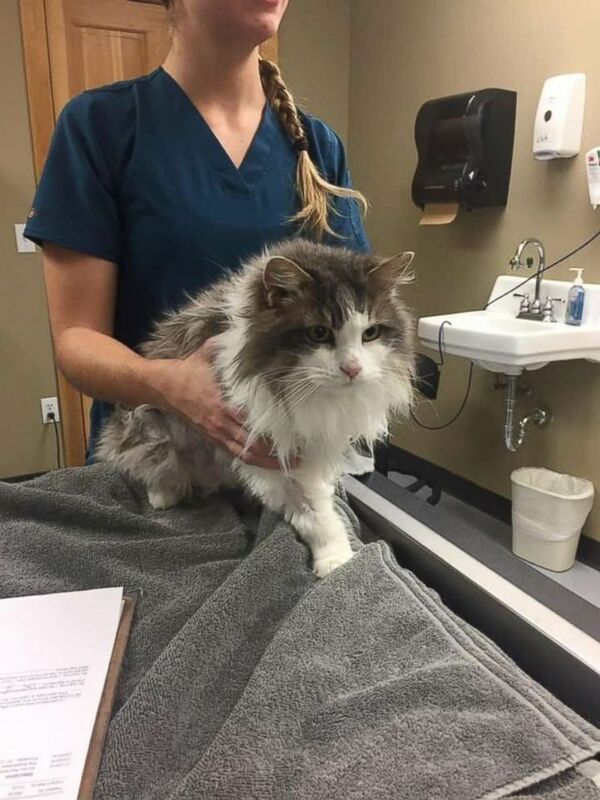 Dr. Jevon Clark, who works at the Animal Clinic of Kalispell, told ABC News that when Fluffy's new owners brought her in, she was so cold that her temperature didn't even register on a thermometer. Fluffy's temperature registered at a bottom range of 90 degrees. Dr. Clark says normal temperatures for cats are around 101 degrees. Fluffy was taken to the emergency room when doctors realized her temperature was still too low after about two hours of using warm water and blankets. A few hours passed before she finally began to show signs of recovery. "Amazing success and survival story from this week. Some clients found their injured cat buried in snow." "They brought her to us essentially frozen and unresponsive. Her temperature was very low but after many hours she recovered and is now completely normal." Fluffy is indeed amazing, and people are thrilled that she's doing well. ...we believe this might be the actual reason she chose not to depart this mortal coil. Fluffy is now back at home with her owners... and she's now an indoor cat.